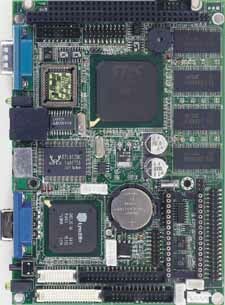 MIO-2263 is a MI/O-Ultra SBC (Single Board Computer) with Embedded Intel® Atom™ SoC J1900 2.0 GHz and E3825 1.33 GHz Processor. The MIO-2263 can support DDR3L memory up to 8 GB, has one USB 3.0 and 3 USB2.0 compatible ports, one GbE (up to 1000 Mbps) interface, LVDS and VGA or HDMI support, HD (High Definition) audio, and one half size mini-PCIe and MIOe expansion slot. 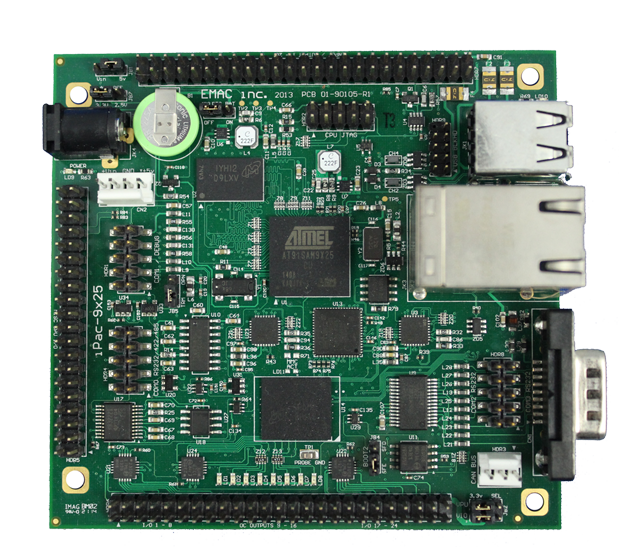 In addition, MIO-2263 also supports one SATA drive, two COM ports, SMBus, one GPIO and one half size mSATA slot. The innovative MI/O (multiple I/O) Extension SBC is equipped with flexible multiple I/O to assist integrators in developing optimized solutions. 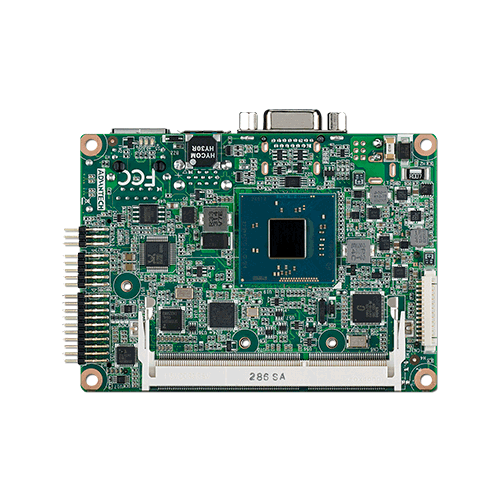 The new PCM-9340 is a 3.5” Half-EBX SBC with an on-board, embedded low power 133 MHz STPC Elite processor. Other on-board features include a VGA/LCD controller with 36-bit LCD TFT display and 10/100 Mbps PCI Ethernet interface. A PC/104 expansion connector is provided, as is optional SSD support for DOC 2000. 62 level watchdog timer and jumperless on-line setup is also supported. 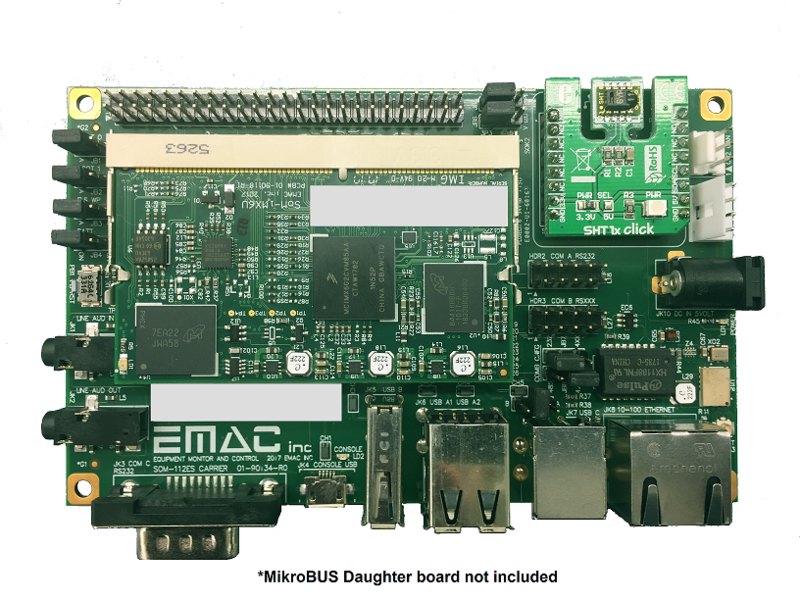 With this board, system engineers can upgrade from 386-based to 486-based systems or from a 486 system using EDO RAM to a 486-based systems using SDRAM. A 486 level STPC Elite processor is mounted directly on board, thus simplifying configuration and installation as no jumpers for speed or Voltage must be set. In addition to ease of configuration, the STPC Elite 133 MHz low-power CPU has been specially designed to work well in environments with temperatures of up to 60°C without need of a fan. Eliminating the CPU fan from a system significantly increases both MTBF and application possibilities.